In this Dharma talk, Daehaeng Kun Sunim explains how it is our very foundation, our true nature that moves the universe. She shows us how to trust this, our root, and how to entrust it with the things that arise in our lives. In fact, she teaches, the very work of spiritual practice is to take all of our pain, all of our regrets, our hopes, our habits, and our sadness and entrust it to this foundation. Leaving nothing behind, we can attain great freedom and peace, as well as the ability to change this world into one of light and wisdom. In so doing, we can take care of those around us, our nation, the environment, and the entire planet. Spiritual practice is a necessity for growth as a human being. In this talk, Seon Master Daehaeng discusses this and the possibilities that open up as we deepen our spiritual practice. Often, spiritual practice is thought of in terms of the individual: personal awareness, personal suffering, etc. However, this is only the most basic level of awareness and practice. As we awaken to our inherent nature and our connection with everything else, we begin to see ways that we can help free those who have become stuck, both living and dead. 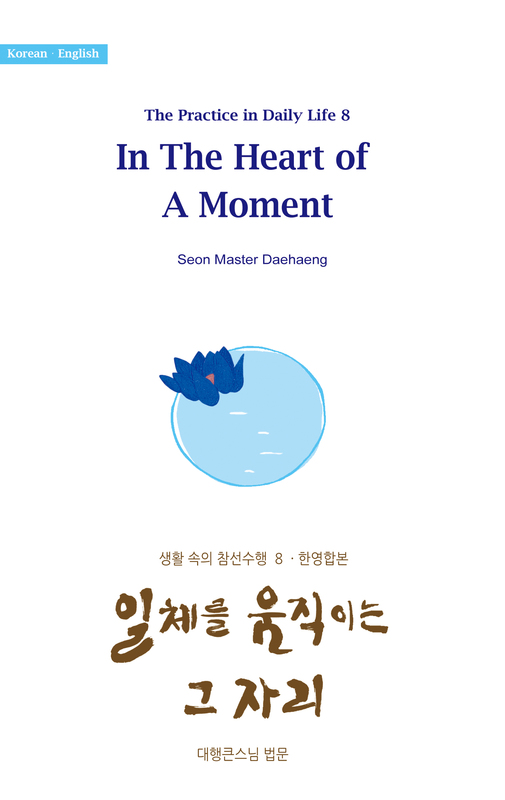 Likewise, Seon Master Daehaeng shows us how this connection makes it possible for us to help with man-made problems such as pollution and global warming. She emphasizes that we have to practice diligently in order to achieve a truly bright “mind” that will never fade, but in doing this, we can help protect humanity as well as the planet.